Forest Hill Methodist Church has been in Stanstead Road since 1896. 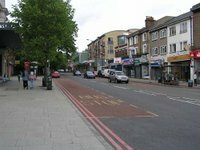 However, in recent years the congregation has recognised the need for a more modern, user-friendly building and a desire to move away from the busy, light industrial area. Much more importantly though, was the desire to be at the heart of the community. Fortunately, the Church owned some land with a thriving sports club in Normanton Street. Over the years, the club premises fell into disrepair and the site became derelict. Thus the decision to move to Normanton Street was made. For more than ten years, we were hampered by a host of challenges. But our ambition to become part of community life will be realised in April 2007 with the official opening in May. We now have a new, modern, landmark church building with fine facilities. They are for not only for Church use but also for the local community and will be available to rent. We particularly look forward to welcoming Perrymount School who will be using some of our facilities each week. The two outdoor tennis courts can also be used for 5 a-side football and basketball. There are large garden spaces and an ecology / conservation area. The indoor spaces include two large halls, a medium-sized meeting room and a consulting room. It is wheelchair-friendly throughout and all areas are flexible in their uses. 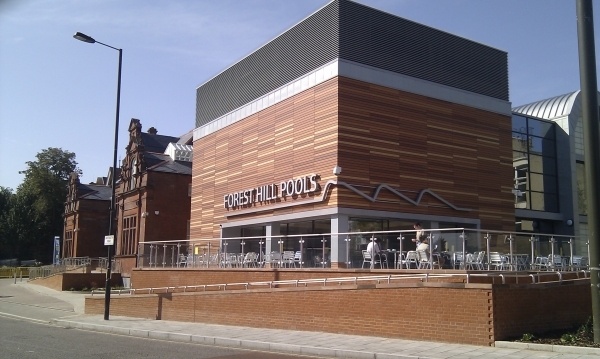 It is truly a wonderful place with great atmosphere and many opportunities for the residents of Forest Hill. Thanks to the congregation who, in 1923, had the vision and courage to buy the land and to the 21st Century congregation who have transformed it into a modern place of worship! Now we are fulfilling our greatest ambition – to be at the heart of the community.